Being self-employed means that everything is down to you. Sometimes this is just too much to cope with, there aren’t enough hours in the day. This is where outsourcing comes in. 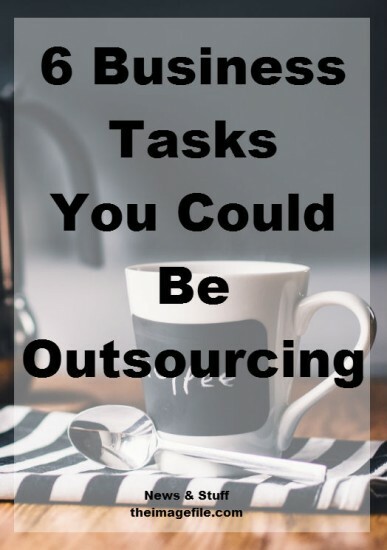 We’ve mentioned outsourcing in the past here, but we’ve never mentioned what tasks you could be delegating else where. Delegating tasks frees up time for you to be working on the things that only you can do to bring in an income (photo shoots, creating content, building client relationships and providing a great client experience). If you think about how much time you spend editing the images of just one collection, I bet you would be staggered. Lets use a wedding as an example. The average wedding can take between 8-12 hours of editing. That’s more than a full working day! By outsourcing your photo editing you could free up almost a whole day to work on other important aspects of your business. Whether that’s a half an hour phone call to a nervous bride, answering your emails promptly, organising your systems so that you can work more efficiently and quickly or blogging to connect personally with your clients. All of these jobs add to your client experience and therefore boosts your business as a whole. An added bonus is that by outsourcing your editing you can ensure that no matter how busy you are, and no matter how many projects you take on, your clients will have their images within a certain time frame. This shows consistency and who doesn’t want to work with a business that not only produces awesome work but is also consistently awesome? Interested in outsourcing your photo editing? Check out our partner photo editors; Pro Image Editors which offer our members a great discounted rates on their Image Selection, Colour Correction, Retouching and Album Design Services. We’re lucky that on theimagefile you can build and design a website and have it up and running on your own domain name within hours. However if you need a little extra help or just don’t have the time to sit down and work your way through, maybe outsourcing your website design is a good choice. If you’re interested in outsourcing you’re website design then we provide a website build service on theimagefile. Do you invoice clients at different times throughout a project? Maybe you ask for a deposit when the client books your services, a percentage of the full amount before the photo shoot and then the rest before you give the customers their images? Instead of trying to keep up with all the dates and sending reminders on top of everything else you already have to do, pass the task on to someone or something else. If you don’t want to pass the task on to another person you could use a system like 17Hats to help you keep on top of all these tasks and make sure nothing gets forgotten. This is an item that is dreaded by pretty much every business owner. It takes time, it’s boring and often fairly damaging to the soul. So instead of spending time trying to figure everything out on your own (and worrying about whether or not you’re doing it correctly), reach out to an accountant. Remember that all your online sales are calculated for you in a downloadable file that you can just email over to them! On a similar note to accounting and taxes, keeping up with expenses, earnings and everything you need for tax and VAT can be time consuming and overwhelming. You could delegate a trusted individual that’s great at Excel or other book-keeping package and forward every invoice and receipt to them. On the other hand if you feel uncomfortable handing that information over to another person look into some software such as Free Agent to do it for you. Save yourself the time and stress and reach out to someone with the appropriate knowledge. It won’t take a lawyer long to set up the basic legal documents and it’s good to have an lawyer-client relationship set up in the off-chance that you need to protect yourself in the future. Do you outsource? What tasks do you delegate else where? Webpages 101: What To Do With Your Contact Page! The Advantages of Seamless Integration! The Advantages Of Having Your Own Domain Name Should You DIY Your Website Or Hire A Designer?